Comment: Outside pane of window is shattered & continuing to crack. Comment: 1500 square foot two story home has two dormer windows that don't close correctly. i'm having slabjack come out first to see if foundation shifted a bit. after that, I want the two dormer windows replaced. Comment: I need an estimate on Looking for repair/replacement of thermopane glass panel on our greenhouse. Comment: We have a couple of windows on the bottom floor that are in need of screens, we may need replacements on two screen on the second story also. The two screens downstairs are our first priority. Carnation Window Replacement Companies are rated 4.54 out of 5 based on 235 reviews of 6 pros. 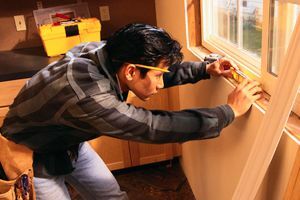 Not Looking for Windows Contractors in Carnation, WA?